The Ridgefield Spudders have a football coach, one who is already part of the community. 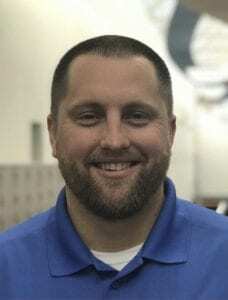 Scott Rice, who has been an assistant with the Skyview Storm, has been hired to take over the Ridgefield program. “Becoming a head coach in this community has been a dream of mine, and I am humbled to get the opportunity to grow Ridgefield into one of the top tier programs,” Rice said in a statement released by the Ridgefield School District. Rice, his wife Kelsi, and their two children live in Ridgefield. “Coach Rice has a great deal of football knowledge and prides himself in his ability to connect with his athletes and develop relationships,” said Brynan Shipley, Ridgefield’s athletic director. “He recognizes that it is more than just a game; it is a tool to teach valuable life lessons and build character. Rice will take over for Chris Abrams, who had some success as an interim coach this past season. Abrams was selected to become the interim coach just a few days before the first practice of the 2018 season. Ridgefield, which lost its last eight games in 2017, won its first two games of the 2018 season and finished with a 3-5 record. Rice played three sports at Colville High School, then played college football at Carroll College in Montana. He was an assistant coach at Aberdeen for four seasons before moving to Skyview in 2014.